In 1982, Bill Moyers was conducting a PBS series titled Creativity, and in that year he did a 30-minute episode dealing with the working life of two very different photographers, Gary Winogrand and Emmet Gowin. Winogrand, being the larger-than-life character that he was, stole the show with what my old photo mentor Tom Arndt dubbed his “orgasmic” approach to photography, meaning that his mode of photographic production and practice derived from getting off on all of the energy that surrounded him, that he went into the world actively seeking this out, his own personal energy increasing at a rate directly proportional to that found in his environment. Winogrand was shown walking the streets of Los Angeles, his camera at his chest, and making photographs with what seemed at the time as an incredible sleight-of-hand trick: he’d snap the photo at chest or waist view, and then elaborately flip his camera-hand in the air, almost like he was waving at a friend just off into the distance. The segment on Emmet Gowin, in stark contrast, showed someone that worked in a decidedly more internal and deliberately careful and quiet manner, which throughout the video was sweetly offset by the sound of children running through the house, and voices of the family carrying up the stairs into his studio. Clips of the Winogrand interview can be found around the web. The pairing of the two photographers was a brilliant move on Moyer’s part, and regrettably clips of the Gowin segment are not as readily available (but for those die-hard Emmet Gowin fans, a wonderful interview he gave can be seen here). This old video was brought to mind recently when another former mentor of mine, Elijah Gowin, touched base with me to let me know about his latest photographic endeavor, the self-publication of the monograph Maggie, a joint-project between himself and his father Emmet. Elijah had just recently been awarded a Guggenheim fellowship, and has subsequently founded tin roof press, of which Maggie is the first publication. Elijah was one of my first photographic instructors, and we became friends while he was living and teaching in Chattanooga, Tennessee (seemingly a lifetime ago for both of us). 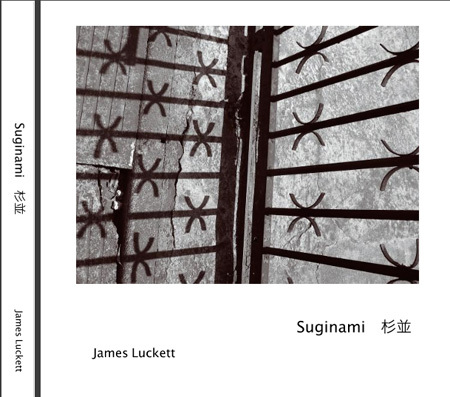 Around the same time that I was learning about the Maggie project, another friend and fellow photographic simpatico, James Luckett let me know that he was working on a print-on-demand book of a series of photographs he had taken while living in Japan. I’ve been a fan and follower of James’s sparse yet richly telling site consumptive.org ever since he founded it, sometime in 1999 or 2000. Consumptive often feels more like an electronic “commonplace book” than a blog about photography, and I enjoy the tapestry of thoughts, images, and things that are both public and personal that can be found there. Since then he and I have had a sporadic and varied correspondence, sending emails to one another on esoterica intermingled with the personal. The body of work of Elijah’s that is included in Maggie derives from one of his earliest projects, A Hymnal of Dreams. The images in this series are subdued with a quiet, seemingly just-for-you-dear-viewer magic realism that manages equal parts eccentric edge, witchy hot-pot, and a joyous fancifulness that never dips into saccharine sentimentality. Many of the images are taken in the Southeastern United States, and the disjointed narrative ranges everywhere from Danville, VA to the Howard Finster Gardens in Sommerville, GA to New Mexico to Savannah, Georgia. In our conversations together, Elijah divulged that as he was thinking about images for this project and began culling through this series, he realized that over 1/4 of the images from nearly 10 years of work were of Maggie herself. Elijah: The book idea was Mom’s as a kind of social object. She was the instigator; it was her mastermind (it’s her aunt). She played the central role in the family event of organizing and preserving; and it was her idea to honor this tradition with a book. It’s individual work [Emmet’s and Elijah’s) that has a little bit to do with each other and also with the notion of family work. The project was about talking, and going back to your parents, as well as having them being your collaborative partner. For some people, that aspect would drive them crazy; the parent thing can be kind of distasteful. It was a very good experience, working with my parents, but unlike other collaborations, they’re your parents and you can’t escape or get away from them like you could a peer. Returning to this work in the form of a book was like visiting an old friend or a family member at a reunion. While I like this work, I could never make an image like this again; I’ve moved on. In that regard it’s bittersweet. The images are still good and they still hold something of the reasons I began, of why I set up this situation to solve something. They don’t embarrass me at all, so that’s a good thing. So why were we doing this together? Because of the subject matter, and because it was easier to do this project now that the work for both of us is older work. My images are 10 years old–it’s history already. The project came to be about following the pictures that had been made, and also of following someone who’s lived a long time. I mean, my aunt seems kind of a constant: she was old in the 60’s. She’s old now–she’s 98. That’s a couple of lifetimes. As a subject, Maggie is definitely a quixotic, funny kind of figure. I think she has a particular kind of openness and inquisitiveness–I think that she also likes the attention! She’s very playful and a unique subject. 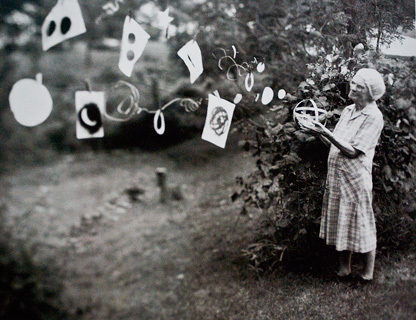 My grandmother–her sister–could never have been the subject of these photos. I realized that as I was pulling together the Hymnal of Dreams series, over 1/4 of the total images were of her; she had become a very important subject in that project. Dad and I decided to take one cook out of the kitchen in order to do the book to the high level that Mom envisioned: the publisher. No publisher would have put the money into it that we wanted to: the paper is some of the best paper in the world, the press [Hatje Cantz] is one of the best presses in the world. This book is an object that is made to last, a traditional high-end piece. I wanted to go through the entire process. It was a great opportunity to get in touch with the social project of distribution. The will of an individual can do things that a company just can’t or won’t do: through an email list, through a blog–things can be moved and synergized in a way that a company just can’t do. And when you have the book as an artist, they’re like these firesticks, and you can give them to people to start up other things. There’s a place for the artist outside of the gallery, in book form, in between the big commercial expensive print. My images now sell in galleries for thousands of dollars, but here, someone can have this very high-end reproduction, this object, for $50. I’m interested in following this middle ground. Pieces that need grouping, narrative, an order–that’s something that the book brings. A focus is brought to bear that the galleries can’t show it all. We can build up a volume to get to the idea–that’s something that the book can do that the print-as-objects-in-a-gallery can’t. And what’s ironic about the book versus the print is that usually the object-as-print is supposed to inspire you; like the photo book is the equivalent of waiting for the movie version of a good book. But through this process I found often that the reproductions are so good, I can actually be disappointed in the object-as-print…in the original! 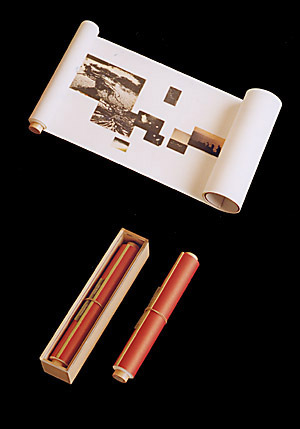 Frederick Sommer, when involved in the process of making photo books, reportedly said that the reproductions had gotten so good, that they had become too good! They were interfering with the artist’s practice! tin roof press was created with hopes that there would be a feeding circle that generates from this book project: the book will feed exhibitions, the sales from the book will feed and further future collaborations and publications. I might have become totally spoiled by the process of this book going to press, and being a part of the entire process. We paid for the press time at Hatje Cantz’s press in Stuttgart, and were able to see our images coming off the press as it ran. 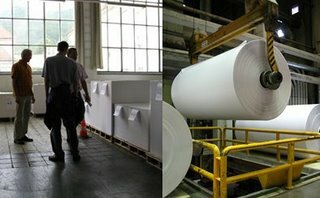 We were able to get a designer that Dad had worked with before, and a separator that we both knew and had worked with. We did a print run of 2000, and in the fine-art book printing world, this is a medium-sized run; and really if you’re going to go through all the trouble and expense we did, it was almost as much to publish 2000 of this as it was if we had done 1000. This book was done for the family; it was for us. With the limited edition…we knew money wasn’t the issue, that we’d make it back through the sales. But getting back our time…that was the real issue. The website, the design, talking back and forth with the different presses and book places, pricing, materials–all of this was a good bit of time and work. I think that there is room to be both a publisher and an artist in a way that doesn’t shut the art down. I want the press to serve the art–I don’t want it to become its own job. It should be a part of the art-making process, and ideally not take too much time and energy away from me. 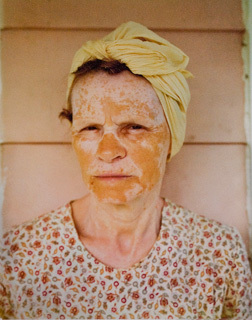 When artists take for their subject family members (or themselves), whether they are treated straight, with a formal and artistic twist (as in the case of Harry Callahan’s photos of his wife Eleanor, or Emmet Gowin‚Äôs early portraits of his wife and her family), or instead given a darker, more intangible imagining (such as in the case of Francesca Woodman’s self-portraits, Masashisa Fukase’s photos of his first wife Yoko, or Elijah Gowin’s Hymnal of Dreams series), a viewer can attach themselves, and become emotionally connected to, this mysterious play of intimacy that is both on display and withheld; a cast of characters that reappear over years in different scenarios, moods, states of yielding and withholding. We see them as the photographer wanted to imagine them for that moment, and we get hooked on this narrative. The character of Maggie, as seen and photographed by father and then son, is one such person. She is the sort of woman, a very special and particular Southern kind of woman, that has all but disappeared from our time and place. 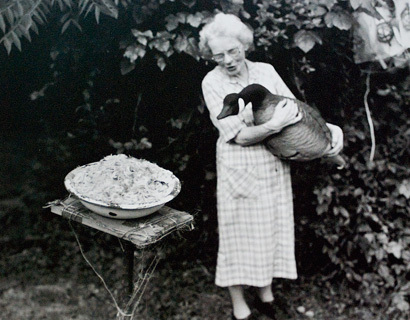 Simple, enormously generous, sparse with words but in possession of a quick and curious mind– she lived as an adult during the last Great Depression and the experience of it colored everything that came after, both in terms of caution and grace. The book-as-object is a magical little talisman of her, filled with familial love and wonder, without ever giving way to a deflating sentimentality. The printing is exquisite, and the different printing styles and tones between Emmet and Elijah can be easily discerned on the page. 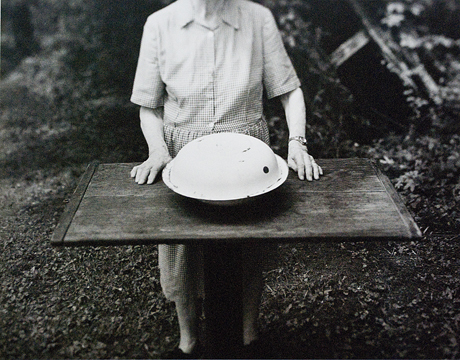 Both Emmet and Elijah contribute an offering in words as to why they chose to photograph Maggie over the years, but it is Edith Gowin’s forward to the monograph that is especially poignant and moving. I won’t spoil the story that she has to offer (which gives context to some of the more magical images that Emmet made of her in the 70’s), except to say that letting this character become part of your photographic family will not be cause for regret. Maggie is available for sale from both the tin roof press site and photoeye (and was just nominated for Best Book of 2008 from them). An artist’s talk and gallery show of the work from Maggie will be on display in Richmond, Virginia at the Page Bond Gallery from January 9 until February 11th. In an interesting nod to the fact that both Emmet and Elijah have since been immersed in work far different from that seen in Maggie, both of them will also be exhibiting this winter at the Griffin Museum of Photographys in Winchester, MA from January 29th through March 28th. 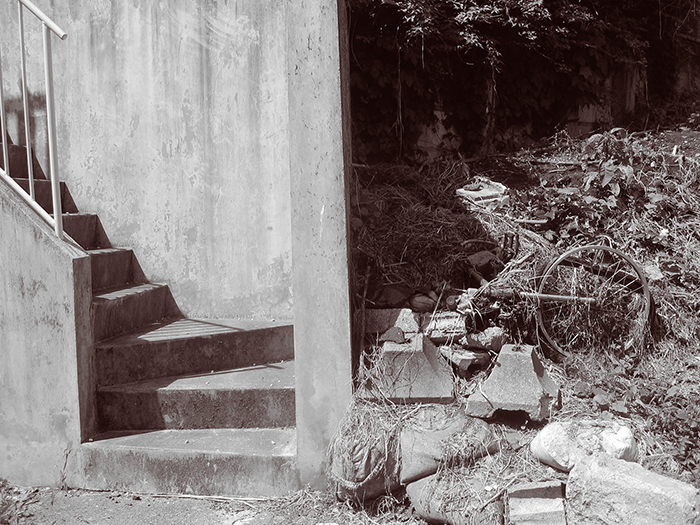 The show is titled Gravity, and will be showcasing Emmet Gowin’s geo-topographical images and Elijah’s recent project of constructed photographs from his series Falling. I’m not sure exactly when or under what circumstances I first encountered James Luckett’s cabinet-of-wonders site, consumptive, but I’ve always counted myself fortunate that I did. It seems rather inconceivable now, but in the early pioneer days of personal websites and the first stabs at what would come to be unfortunately named as blogs, there really wasn’t much out there in the way of substance or interesting questions being asked, and what I was looking for at the time were the things James was and is writing about on his site. James Luckett is a much more–brutally and publicly–honest person then I or most people are capable of being (if you doubt the veracity of this, just check out what serves as his About page. It is the kind of dip-and-dive autobiographical detail that I can only have dreams and nightmares about producing, although it would probably serve as an interesting exercise). His site, which is equal parts words, pointed thoughts and images, reflect that. Developer solutions, conversations, song lyrics (lots of Lou Reed), the occasional mp3, expertly culled poetry, many many images, bemused reporting from unusual things found on the web, stark and startling observations about himself or surroundings all in one of the cleanest, most spare web sites I’ve ever visited. James has been trained in the classic, respectable photographer ways, and since then has done the heaviest lifting of developing his voice, aesthetic and eye doing all manner of self-taught endeavors. Stacy: What is Suginami? Is it a glimpse of a version of yourself that you’re sharing with us, or something including and beyond that which you’re trying to communicate? James: Suginami is one of the 23 ku‚ or wards of Tokyo, an area in the city that I lived for five years and where nearly all the photographs in the book were taken. 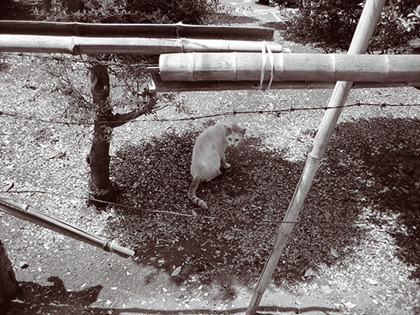 At the time I had a dog, and we’d go for walks a few hours every day, so I got to know that neighborhood very well….photographically Tokyo was overwhelming. The city is very dense, things crowd in upon, and on top of each other, it’s nearly impossible to photograph a subject without all sorts of other things pushing into the frame. What I saw looking through the camera didn’t make any sense. I remember walking through the city holding the camera above my head and making one or two second exposures, putting all my faith in the apparatus to put something together. Over subsequent trips and eventually moving and living in Tokyo, I got used to the alienation and with time the unfamiliar became familiar and the city became my home. Stacy: How personal is this book for you? Do you want others to know that, or is the personal, you know, personal? 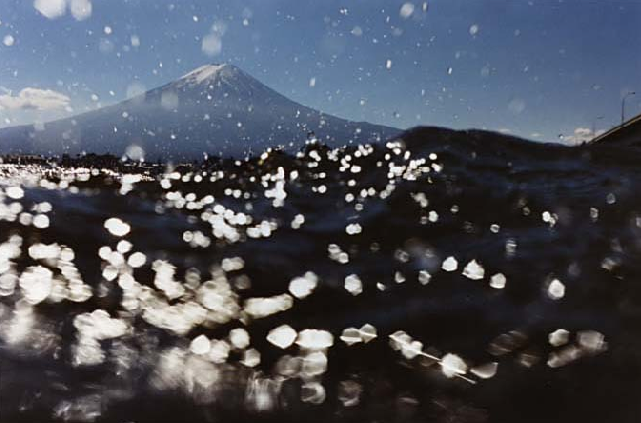 James: Prior to moving to Tokyo, for a lot of different reasons I’d fallen out of making photographs. Graduate school really threw me for a loop, stripped away a lot of idealism – which is good in a way, but not an easy process. After wards I moved to Chicago and right away got involved in the gallery system. It sounds naive to say it now, but I was entirely unprepared for the realization that art is a business and the experience made me very cynical about the gallery system for quite a long time. 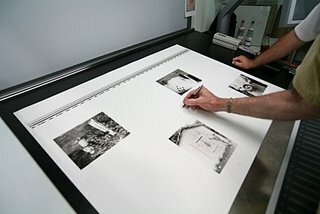 I’d also gotten a job working at night in a forensic photography lab as a master printer. Technically this was a great experience – I really learned how to make prints there – but after working 50 hours a week in a color darkroom simultaneously running different jobs on four enlargers plus a set of x-ray duplicates in the black and white lab, the last thing I wanted to do when I got home was make more photographs. People always advise to do what you love, and I discovered pretty quickly that working professionally in photography wasn’t something I liked and had deleterious effects on that that I did love. The content of those forensic photographs didn’t do my mind any favors either. 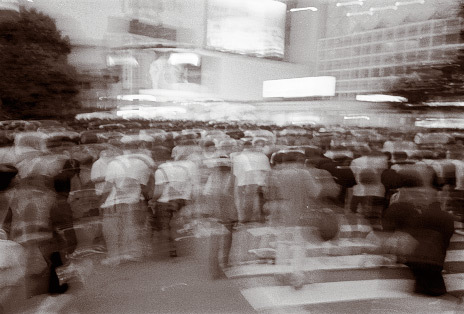 So by the time I moved to Tokyo I’d pretty much stopped working in any sustained meaningful way with photography. Instead I turned my attention to cooking, teaching myself home style Japanese cooking. I got pretty good, cooking for home parties and even catering new year’s events. After a few solid years of cooking I hit a wall. I reached a point where I needed to master the language if I was going to continue in any meaningful way, but there was something else too. I came to think that while I might be a pretty good cook, I knew that I wasn’t a creative one. I could plan elaborate meals and organize and execute the preparation, but I didn’t have a knack for inventing new dishes or imagining variations. Realized I wasn’t ever going to be a chef. And so I starting thinking about photography again, as an area where I might be able to do something more than be competent. So during that last year living in Tokyo, walking the dog, I took along with me a little digital point and shoot and began learning to see again. In some ways making photographs and cooking are not all that different, [though] there is one very big difference between the two though and that is that cooking is an immediate response. Put a meal on the table and right away you see people are happy and satisfied and nourished – but then just as quickly the evening is over, dishes washed, everything forgotten. With photography there is at least this seductive notion that I might make something that moves another in a more sustained or profound way than a dinner might. But its also just as likely that no appreciation will ever happen at all. Photography is much more difficult to follow through every day. The successes are of my own making, and the work often exists for my own selfish reasons. Its a hard practice to sustain. The reward is that, for example, Suginami won’t disappear with the guests stumbling in the night toward the train station. So yes, this book is very personal. Its me starting over with photography, getting back to the beginning, learning to see again, rediscovering what photography was and now still is for me: a way to formulate my surroundings, to make sense of the world. Suginami isn’t just a place I lived, but a place made my own. It isn’t necessary to know any of this to view the book. It’s a poetic, evocative, and I hope visually interesting series. I would be curious to know what others might make of it. What they might think or feel Suginami is. Stacy: What kind of initial, brutal editing did you do at the beginning? How did you settle upon your given tone, and what do you imagine that tone is? James: The photographs first appeared publicly on my blog, which at the time was a different photograph or link or some writing that appeared every few days or so. My initial thought was that the book would be a collection of all of these photographs – the neighborhood and the allegorical tableaux plus the cryptic poetic writing I was doing. However, once I began looking over the material, it was apparent that I hadn’t written nearly as much as I remembered and most of that wasn’t very interesting or good. There was simply too much of a disjunction between the images to hold together. So once it was clear the book would be of these walking around photographs then it was a process of going through the months and months of image files, looking and looking and pulling those photographs I felt were able to stand up on their own. There were about 100 of these. 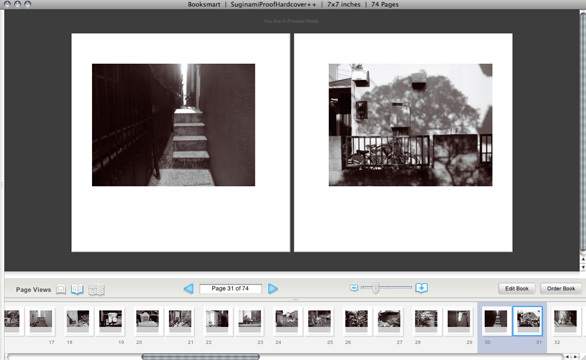 From there I imported the photographs into the Blurb book layout software and began sequencing. For me, personally, the photographs are considerably less about what’s in front of the camera, and much more about what’s going on with me, my eyes and brain. My concern with photography has always been with the internal process of what and how I see and conceive of the world. So what is interesting in the photographs is that which is in me, and not so much in what’s out there. My photographs are a reaction to events, to situations. I’m not a documentarian and the documentary is not an approach I’m creatively invested. So a strategy I’ve often utilized to make it clearer that my work is about this internal process of seeing/thinking/feeling is to bookend the series with photographs that suggest the processes of representation. On a denotative level, I recognize that the photographs show what an area of Tokyo looks like, but again, this isn’t what’s important to me. 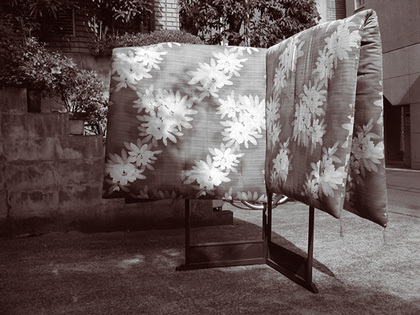 I’m a little worried that the Suginami book might be misunderstood by some as a series about plants or trees or the urban landscape and this worry dictated the choices for the first and last photographs in the book. 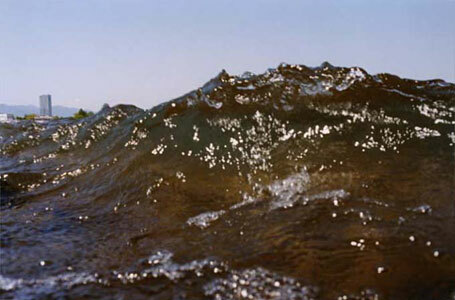 The first is of a spray painted stencil of a flower on a cinder block wall, and the final photograph is of the branches and leaves of a tree canopy reflected in a pool of water – both photographs showing two different ways of representation, clues that the book isn’t intended to be a document. After the beginning and the end was in place, the next step in editing was to find pairs of images that would work well with each other on facing pages. Moving the images around in the Blurb software is really easy, and it becomes like working a puzzle trying all the different combinations and then bouncing those off each other. This way slowly the layout evolved. Certain threads and compositional elements began emerging and echoing through the book that I was really pleased to see. Then one night it all just fell in together. Stare at something long enough and it will eventually all make sense. As for the tone: I’ve no idea. That’s one of those things I don’t have words for. Suginami is a visual poem. I think it’s beautiful. But I don’t really know what that is either. Certainly something more than the sum of the parts. Stacy: What about the process of putting this together has been surprising? Stupefying? Gratifying? Disappointing? Also too I wish I’d photographed more, I wish I’d had more material to work with. At times when sequencing the book I felt really hemmed in by a paucity of choices. I wonder though if its not pushing up against what we lack that isn’t something like the negative space of a composition, that the final work is necessarily guided, defined by what I have. Stacy: You and i have always shared the view that much of what is important in the practice of photography is in the editing. What has the process of editing been like for you? And what is it like to look at, sort through, meditate, process (and in some instances discard) images that are now of a former life and a former self? Does the psychic distance make the “work” part of it go easier, harder, make it an indifferent process? James: Its always taken me a long time to do things. Answers do not often come to me quickly or in the moment. For example, it might be a week or more goes by before I have a response to a question or concern from a friend. Could be months or a year between announcing an intention and getting around to it. In some cases I do need to have more discipline or a more courageous “just do it” attitude, but its also true to say that a lot of my thought processing doesn’t happen so straightforward. It’s important that things have time to marinate. So even though its been three years since I was walking my dog in Tsuykayama Koen or along the Zempakuji River, it doesn’t feel all that long ago. When I look at these photographs I recall quite clearly the moment of taking them. I see immediately what was exciting or interesting about the way everything was lining up in the viewfinder, what possessed me in that moment. In no way does it seem like another life or another time. 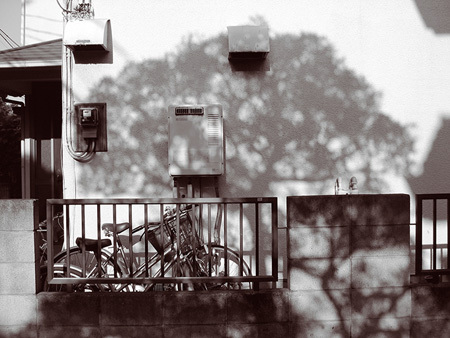 Certainly living in Tokyo does seem like a dream, but these photographs, my creative life, didn’t go anywhere. Perhaps I have two tracks going – daily moving and working and getting along in the world, and another entirely private inner life – and the two don’t necessarily work in tandem. So yes its true, over the past few years I’ve held several different jobs, ended and started relationships, moved halfway around the world, experienced a return culture shock, dropped a habit for alcohol, made a re-commitment to photography, but this other private internal world hasn’t changed much at all. It works outside the daily drama, and it works in sort of slow motion time. My life in Tokyo is very former, but myself is still the same, if that makes any sense. 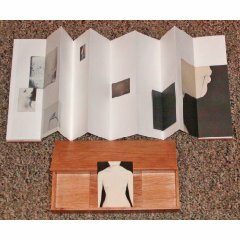 Stacy: What is the book experience and the experience of making a book for you like as compared/contrasted to the printing experience? What is your idea of audience and intimacy in terms of each? James: I’ve never had any real idea of an audience. 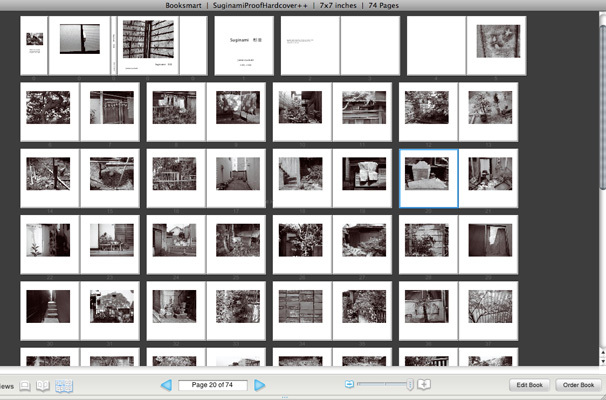 I can think of about ten people – relatives and friends – who might purchase a hard copy of Suginami. Beyond that, its hard for me to imagine anyone wanting to own the book. It’s been about eight years since I’ve made any real physical object that might be of interest to another. Nearly everything over those years existed publicly only in digital form on the Internet, a fairly passive sort of dissemination. So if I do have any kind of audience, that’s what I imagine, people out there sitting at a terminal browsing the Internets staring at rastorized ephemeral bytes. To think of my work taking up space, as something to physically contend with, manipulate, is a little unsettling. I worry about the responsibility of sending things into the world. Its only since returning to the United States two years ago that I’ve slowly put together a darkroom and begun to make physical things again, to think in terms of an object. Its been a long time. At this point it’s a fairly basic exercise: on the weekend I make some prints, a few of them are okay, and those go into a pile. I don’t really have a conception of what happens after that. They stay in the basement. I usually print my negatives pretty small by today’s standards, about 7×7 inches, which [I’ve just now realized] is the same size as the Suginami book: just big enough for one person to look at. If they are any bigger it all gets cumbersome. I want the person to come to the work, to make the choice to get close to it, and to feel they are the only one that knows, that it’s theirs. 7×7 inches is about the size of a face; its a relatable scale. 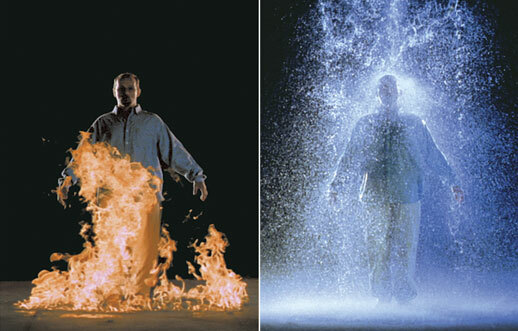 I remember going to a Bill Viola retrospective and there was a huge, like ten or twelve foot tall, double sided vertical screen. On one side was a video of a silhouetted person emerging out of a fire, and the other side had the same person emerging from a waterfall. These were very powerful, archetypal, very moving images, but I couldn’t relate to the myth; I couldn’t fit myself, locate my place in these images. I remember thinking it’d help if they were pictures I could carry around with me, in my wallet, to pull out when I needed them. Its important, I think, to make art that’s proportional to one’s requirements. Giants don’t help me. Stacy: What didn’t you know about this book or your intentions or your own work that you understand now? James: Some of the self doubt I had when starting to put together the book is gone. Its satisfying to see these photographs sorted and all put together. I seem to need to be reminded a lot and often that I can do this, make photographs, make art. In a crappy economy, no one needs to be told twice that they need to be conservative, cut down on gratuitous spending, and in general wait for the next shoe to drop. I’ve been saddened and anxious over the fate of several friends, colleagues and peers that have either lost their employment, are still looking after many miserable months of continual looking and scrapping by, or are worried that they are the next ones to be booted out the door. I’m quite grateful that I still have my job, and that for the moment anyway, it appears to be stable. My feeling about how one is to be conservative and smart during these times depends necessarily on circumstances: I am still (fortunately) making roughly the same amount of money I was this time last year. I have taken a hard look at where I can cut spending, pay down debt, and begin to earnestly save money. But I am also aware that in a desperate economy the things that begin to disappear rapidly aren’t just jobs on Wall Street, some Starbucks branches, some bank consolidations, but things that we love and that make life more substantially felt. 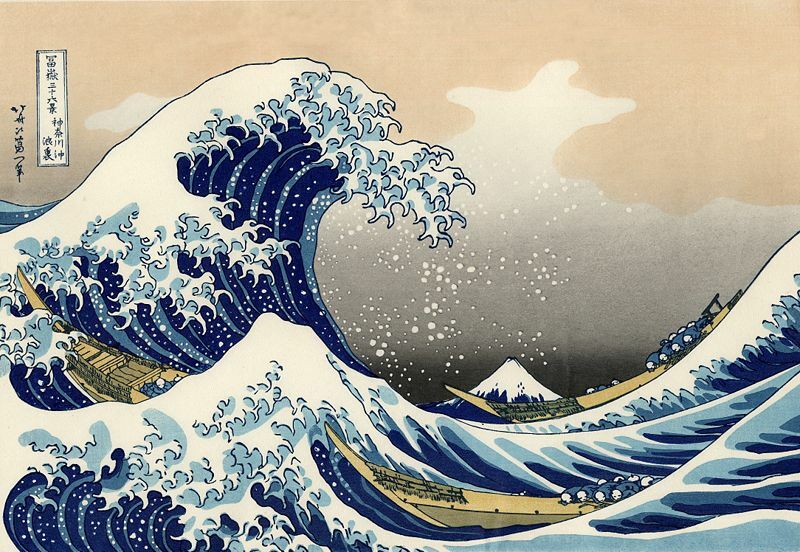 Galleries, favorite book stores, artists, and art suppliers wither and fall away too. When and where I can, I am still buying artist’s books, supporting the work of artists I admire, and paying full price when it makes a difference. If you are in a similar situation, please consider doing similarly. Buy an art book. 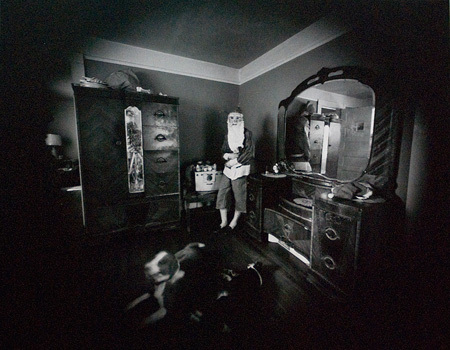 Support an emerging photographer like James Luckett and get a copy of his first book, and/or own and enjoy the work of two enormously talented photographers in the work of the Gowin’s Maggie project. Get on Jen Bekman’s 20×200 mailing list, one of the best bets and art dissemination ideas ever, and buy art for $20. Look at it as an investment or as charity for the arts, but either way the act of purchase in this case is also one of sustainability.